Packing: 1*10kg/bag/ctn with ride, export standard. Quantity: at least 1 cont 40ft. Payment term: L/C at sight. Feel free to contact us if you have any questions or comments. We look forward to receiving yr positive reply. we introduce ourselves as seafood & fish broker, exporter, manufacturer from Vietnam. 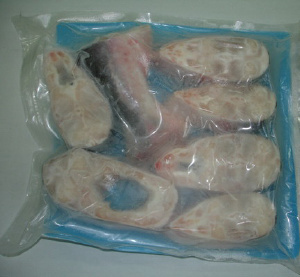 Our seafood & fish is exported to EU, USA, Middle East,.. If you are interested in them, please let me know the detailed & firm specification, we will check and offer workable price soonest. We look forward to hearing from you . (We can call free of charge in all over the world). We commit the best quality of seafood & fish sources from Vietnam: HACCP, ISO, HALAL...matching strictest criteria: EU, USA, Middle East...and all over the world.